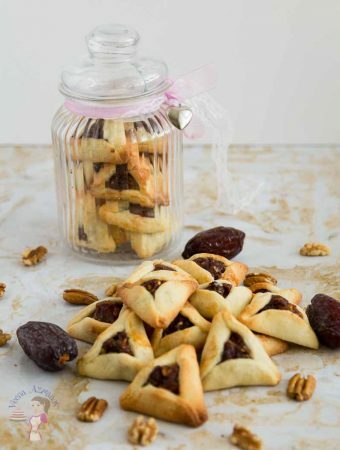 These Purim cookies are a special treat during the Jewish Purim festival. With hundreds of choices for fillings, from traditional poppy seed and dates to modern chocolate, dulce de leche and more. This simple, easy and effortless recipe uses a shortcrust cookie dough as a base. 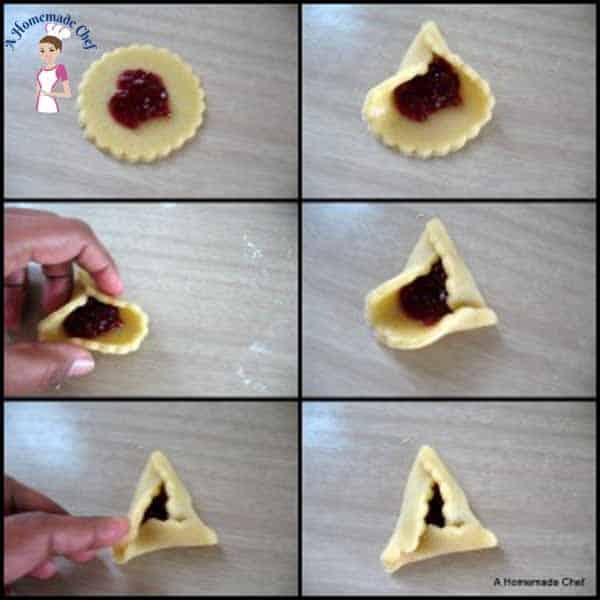 In addition, there are easy to follow folding instructions to get the perfect Hamantaschen cookies. 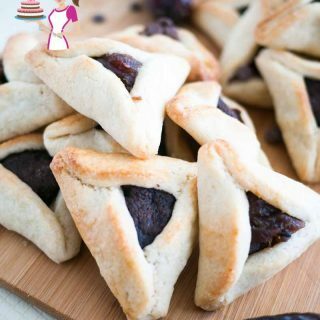 These triangular shaped cookies are called Hamantaschen cookies. Have you seen these cookies yet? Probably! They are served almost everywhere as regular normal cookies. But do you know that they are special holiday cookies? 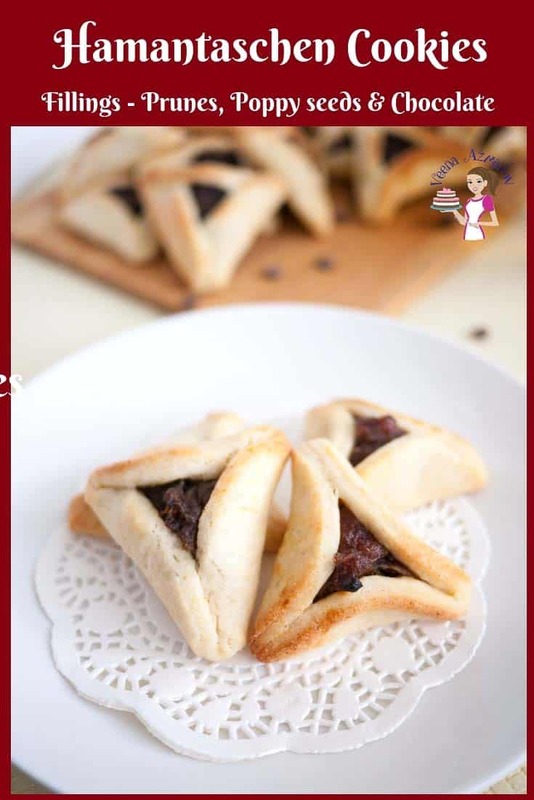 If you are Jewish or are associated with Jewish food, then the names Hamantaschen Cookies, Oznei Haman or Purim cookies are not new to you. I myself learned of these only when I came to Israel. I started making them because my kids are crazy about them. 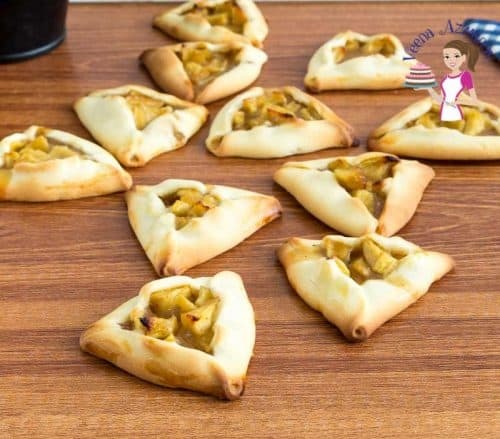 And now every year I make these lovely Purim cookies for my kids. 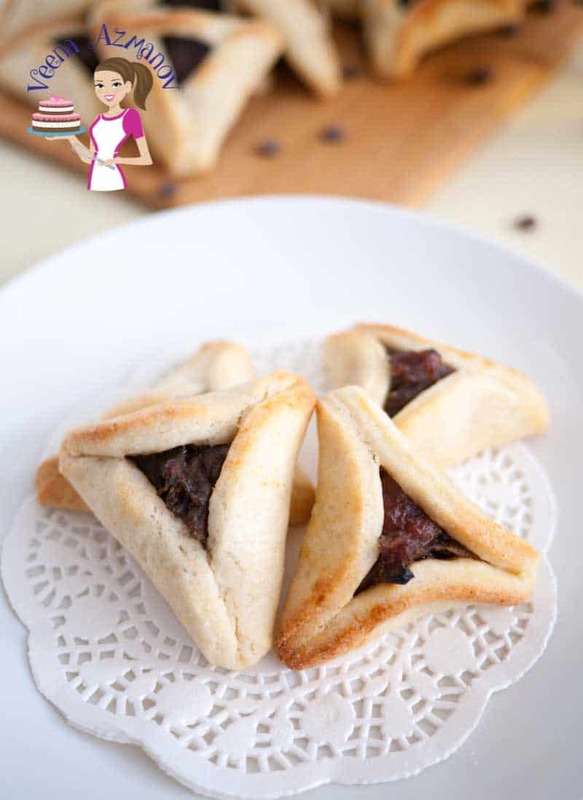 The most traditional Hamantaschen cookies are filled with poppy seeds. They are the most traditional. And yet, these days, everyone wants to try something new. My son’s favorite is the ones filled with Nutella or chocolate. Ziv loves the Dates and walnuts or pecans, and my Rhea loves the strawberry filling. I love prunes, so often I will make a few just for myself. As you can see I have shared all these variations with you here on the blog. There is a Story too?? One of the most fascinating things I learned about these cookies is the many names it has and the reason for those names. It’s all associated with the Purim story involving a bad guy name Haman, a Jewish lady name Esther, and her victory over his plot to destroy the Jewish People. 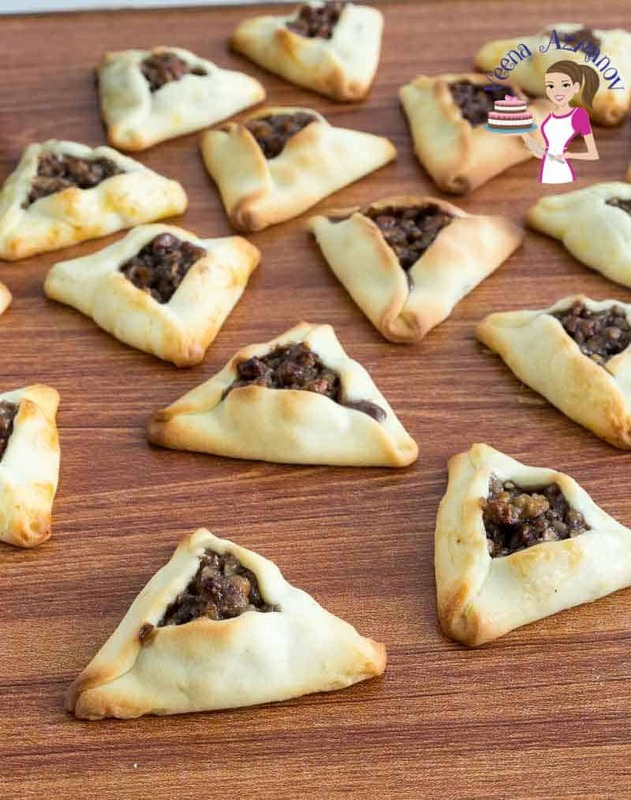 The cookie is shaped to resemble the three corners of Haman’s hat. 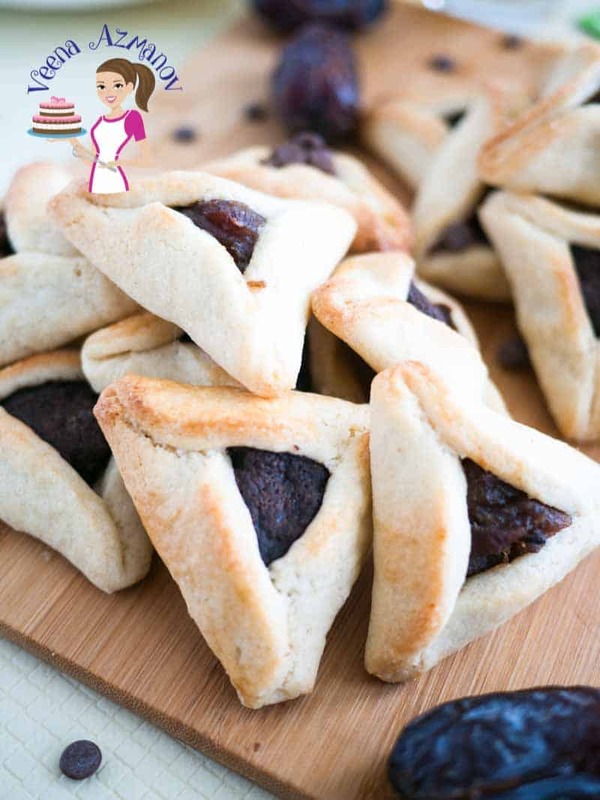 Purim is the name of the festival and both Hamantaschen and Oznei Haman are derived from his name. When I tried these the first time, years ago in the US, they were just made using a shortcrust pastry with poppy seed filling. 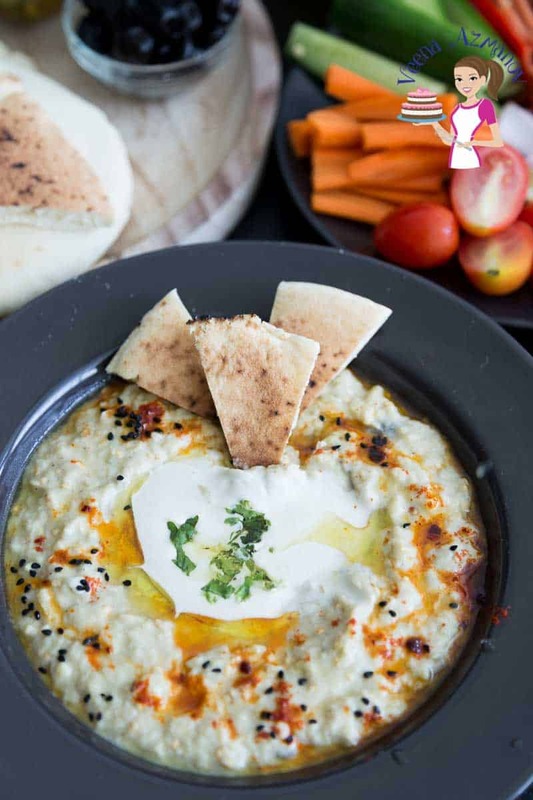 I did not know there was a different recipe for it until I came to Israel. 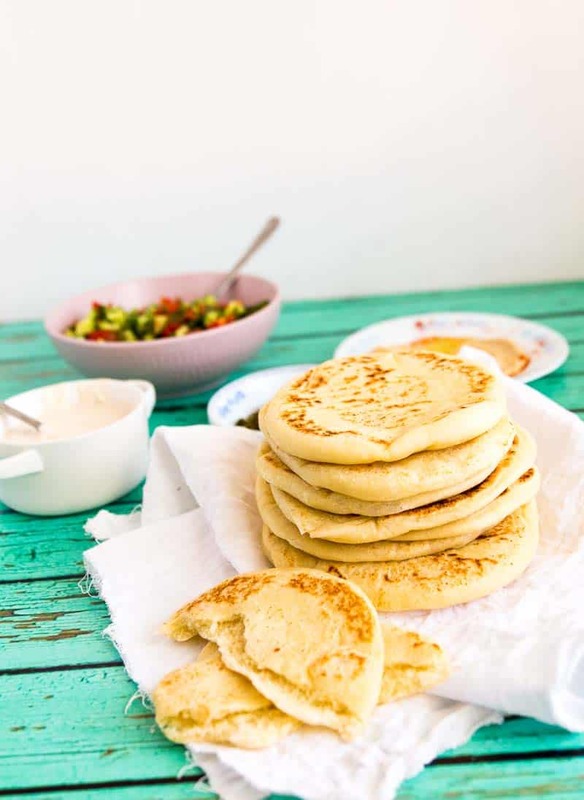 So yes, often you will get these made with biscuit dough for a quick version. Those are delicious too. I’ve also tried several different recipes from the internet or from friends, each claiming to be authentic. And the ones I like are those you can bite into the soft crust and it crumbles in your mouth, mixed with the delicious filling inside. I started with a recipe my mother-in-law gave me and then tweaked it to my preference. She loved it too. So, after trying several recipes, I eventually created this one, which works best for me. It has the crumbly effect when you bite into it. My kids love it, my friends love it, and now I hope you will also like it. Butter – I always use unsalted butter because I like to control the amount of salt. And yet, if salted butter is all you have, go ahead and use it. Just omit salt in the recipe. Also, as I explain about butter in my Tip Thursday – how butter affects baking – use room temperature butter for better results. Sugar – I highly recommend you use fine grain sugar to shorten the creaming time. Always cream the butter and sugar well, and fine grain sugar works best. Eggs – I use large eggs about 65 to 70 grams each. 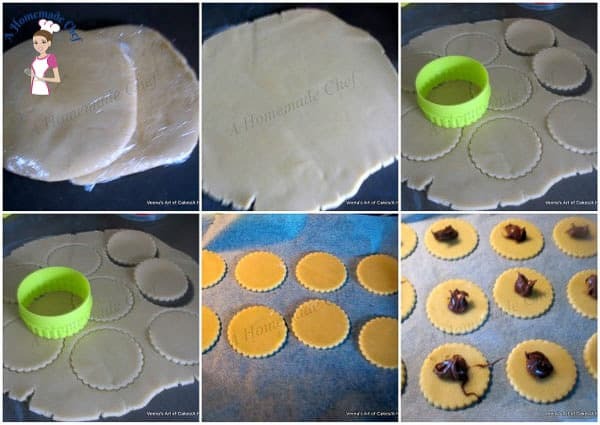 Extract – Orange is traditional with these cookies. And yet, if you don’t have some go ahead and omit the orange. Also, vanilla always works a treat. Fillings – I usually choose between one or two of the fillings to get two types of cookies at the same time. Chocolate is my kids favorite filling. Sift and combine flour, baking powder, and salt. Add vanilla or orange extract. Next, add egg and egg yolk one at a time. 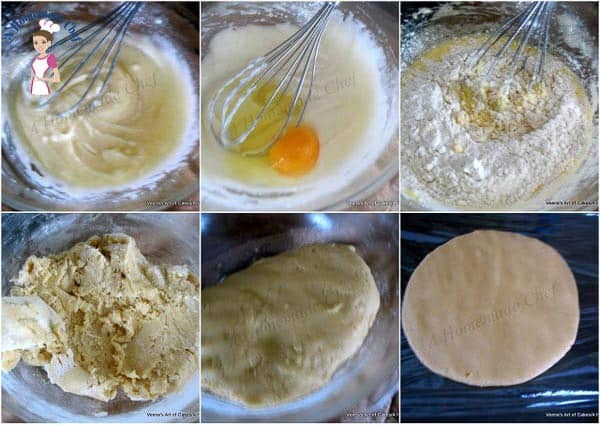 Add flour and orange juice. This is a soft dough. Place in the fridge for at least 30 minutes (preferably one hour) or until firm enough to roll. If the dough has softened place in the fridge to chill again. Overlap or pinch the three sides of the disc/circle using one of the methods I’ve shown below. The perky pinch method where you bring the three sides up. I personally like this look. Just overlap the three sides onto each other and bake (I call it the flat look). The easiest way to find the middle with these triangles. Pinch two sides – bring the third side up to the middle (see 2 & 3 square in the collage below). Press the folds gently, do not pinch too much. Place all cookies on a baking tray. Note how my cookies are sealed, and yet still have that nice fluted edge (don’t press too hard). Basically, all you do is overlap the three corners. Start with the first, then the second overlap the first, and lastly, the third overlaps the first. It’s easier to understand with the images below. These cookies will stay fresh for up to 2 weeks but they taste best in the first week of baking. Use the right method for the right technique. The pinch method works with firm cookie dough, but if unsure use the overlap method. Do not overfill the center to prevent overflow. The cookie dough is shortbread based, so it’s delicious just as well. Make the disc no smaller than 3 inches because once folded they tend to be smaller in size. Overlap or pinch the three sides of the disc/circle using one of the methods below. 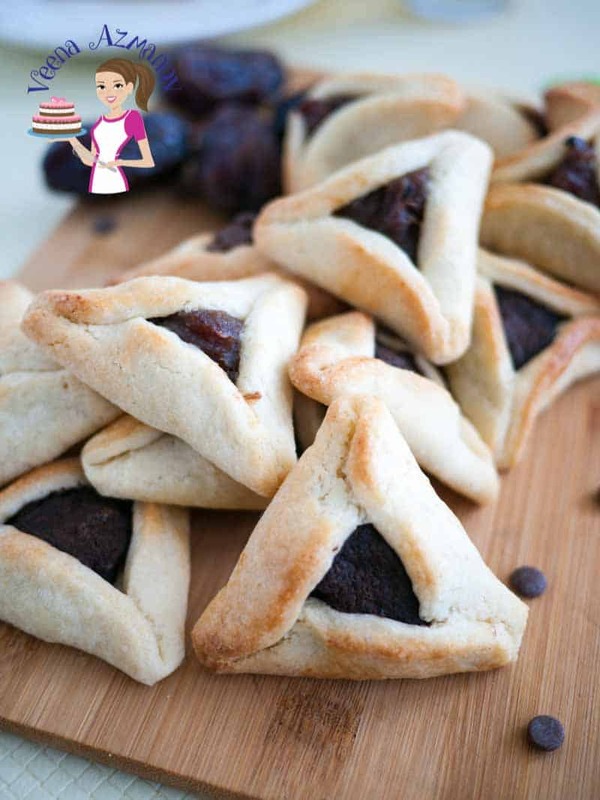 I had never heard of Purim cookies before I found your recipe but this is such a lovely dessert! Thank you for sharing! You are welcome Liz. I hope you try them. 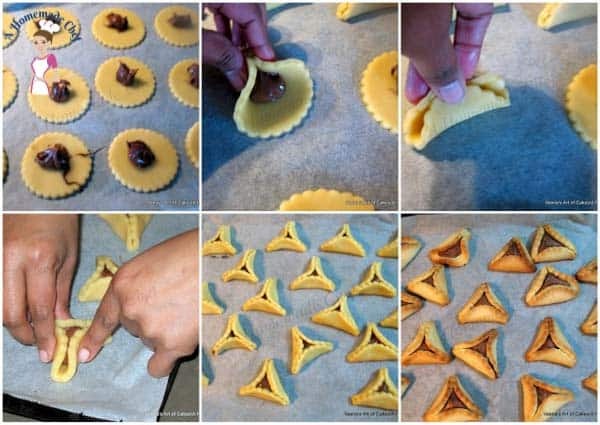 These look really lovely and easier than I would have thought! 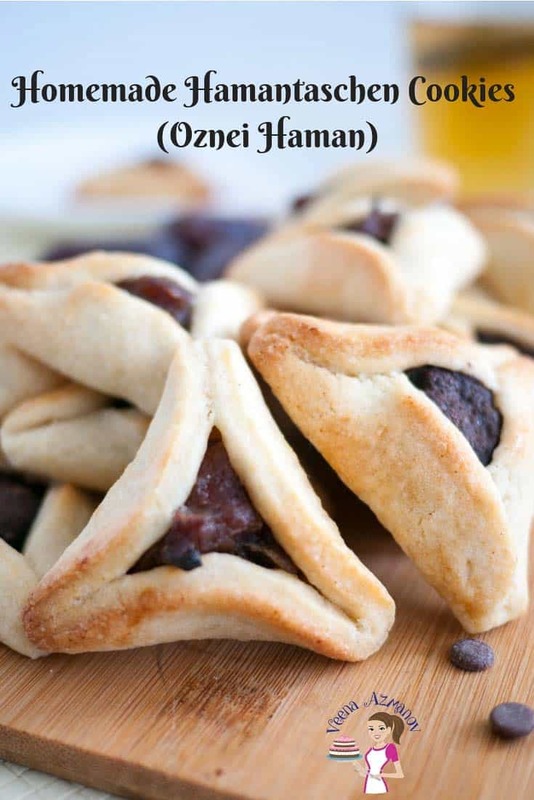 Thanks for this–I love hametaschen and am always looking for a new “favorite” recipe. 🙂 Can’t wait to give it a try! These look like such interesting and amazing cookies! I love that food binds us together from coast to coast and different regions around the world. This isn’t a cookie I’m familiar with, but now I’m imagining the soft dough and sweet fillings in your recipe and I want one! Or two. 🙂 Where’s the video though? I don’t see a link. These cookies look so simple yet elegant. And it’s perfect that you can pick fillings to suit individual tastes. Yeah Stephanie.. the fillings are endless..! Absolutely – I love prunes so I love that filling but my kids favorite is chocolate and jams – while my husband’s is dates. 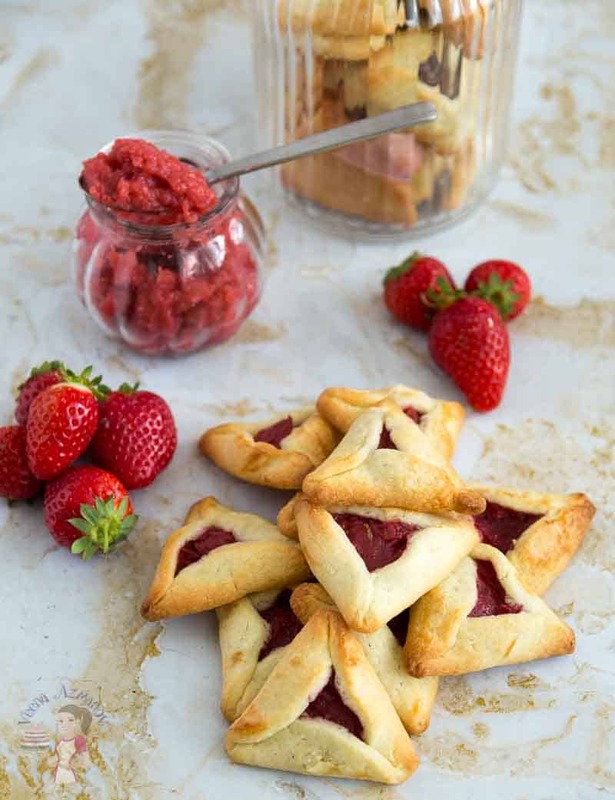 I had never heard of hamentaschen cookies. The texture you describe sounds heavenly! 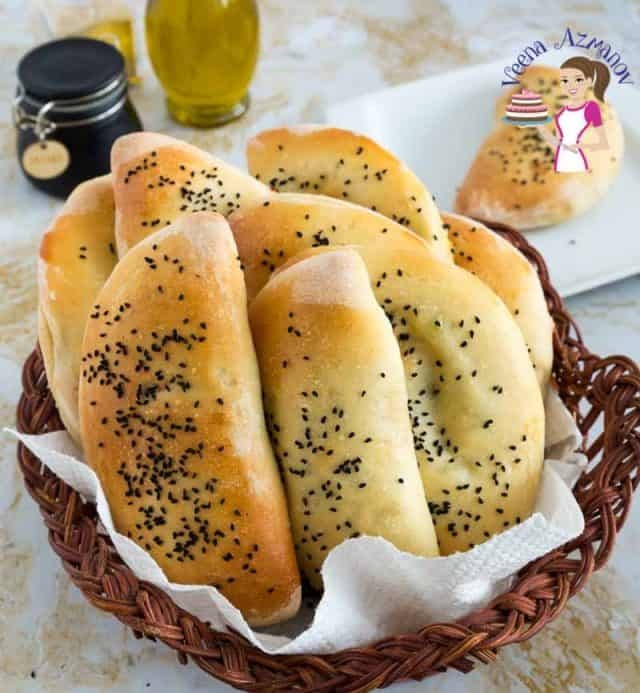 I think that I would love the poppy seed filling—it reminds me of a delicious Hungarian pastry I once tried—though I can imagine that Nutella would also be yummy! Authentic or not, these cookies look great and that poppy seed filling sounds lovely. The step by step pictures are very helpful. Thank you Lucy. Yeah the step by step because it’s sometimes hard to explain things – Glad you found them useful. These look wonderful, and sound so tasty. Would love to try the poppy seed version, I imagine they are delicious. 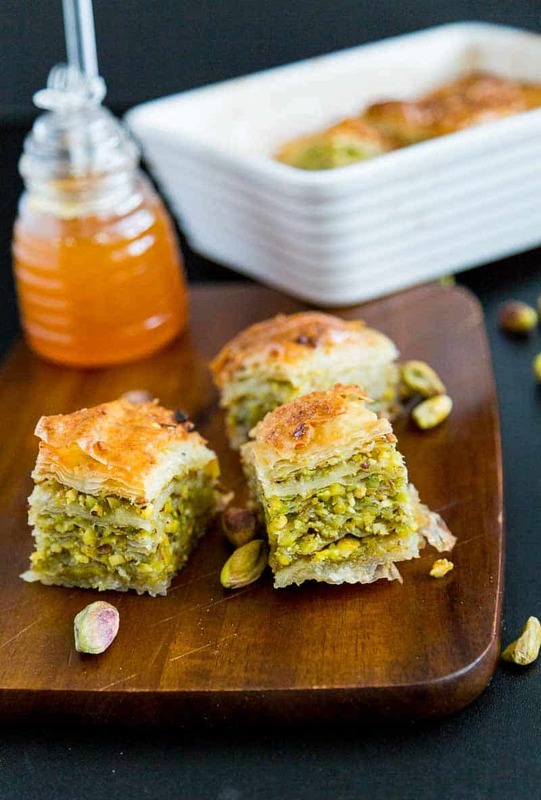 A wonderful traditional recipe. Thanks Helen. Yes poppy, prunes, dates are very traditional fillings.